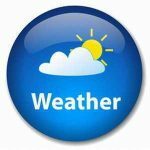 08/09/2018 by admin	in * Latest News, video, Η ιστορία πίσω από ένα τραγούδι! “We Are the World” was promoted with a music video, a video cassette, and several other items made available to the public, including books, posters, shirts and buttons. [All proceeds from the sale of official USA for Africa merchandise went directly to the famine relief fund. All of the merchandise sold well; the video cassette—entitled We Are the World: The Video Event—documented the making of the song, and became the ninth best-selling home video of 1985. All of the video elements were produced by Howard G. Malley and Craig B. Golin along with April Lee Grebb as the production supervisor. The music video showed the recording of “We Are the World”, and drew criticism from some. Michael Jackson joked before filming, “People will know it’s me as soon as they see the socks. Try taking footage of Bruce Springsteen’s socks and see if anyone knows who they belong to.” Jackson was also criticized for filming and recording his solo piece privately, away from the other artists. The singer’s supporters reasoned that Jackson was a perfectionist; recording in front of other big name artists would leave him awestruck and unable to perform at his best. He was also known for his shy nature, and the idea of singing solo in front of 44 other famous artists probably sounded terrifying to him. The song was also promoted with a special edition of the American magazine Life. The publication had been the only media outlet permitted inside A&M Recording Studios on the night of January 28, 1985. All other press organizations were barred from reporting the events leading up to and during “We Are the World”‘s recording. Life ran a cover story of the recording session in its April 1985 edition of the monthly magazine. 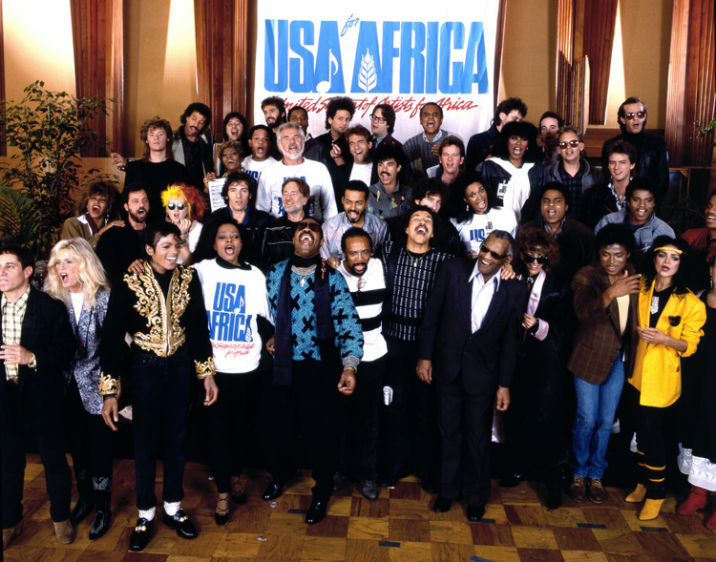 Seven members of USA for Africa were pictured on the cover: Bob Dylan, Bruce Springsteen, Cyndi Lauper, Lionel Richie, Michael Jackson, Tina Turner and Willie Nelson. Inside the magazine were photographs of the “We Are the World” participants working and taking breaks. On the morning of April 5, 1985 (Good Friday of that year), “We Are the World” received worldwide coverage. At 10:25 am, over 8000 radio stations simultaneously broadcast the song around the world. They played it to show their support for the relief of famine in Ethiopia. The song was also broadcast by Muzak, a company which pipes background music into 110,000 stores and businesses in the US. It was the second time Muzak had played the sound of “human voice”, the first being an announcement on the release of American hostages in Iran in 1981. As the song was broadcast, hundreds of people sang along on the steps of St. Patrick’s Cathedral in New York. The simultaneous radio broadcast of “We Are the World” was repeated again the following Good Friday. “We Are the World” gained further promotion and coverage on May 25, 1986, when it was played during a major benefit event held throughout the US. Hands Across America—USA for Africa’s follow-up project—was an event in which millions of people formed a human chain across the US. The event was held to draw attention to hunger and homelessness in the United States. “We Are the World”‘s co-writer, Michael Jackson, had wanted his song to be the official theme for the event. The other board members of USA for Africa outvoted the singer, and it was instead decided that a new song would be created and released for the event, titled “Hands Across America”. When released, the new song did not achieve the level of success that “We Are the World” did, and the decision to use it as the official theme for the event led to Jackson—who co-owned the publishing rights to “We Are the World”—resigning from the board of directors of USA for Africa. Αυτοί είναι οι Κτηνιάτροι-Ήρωες στο Μάτι που έσωσαν 70 ζωάκια, καμένα και τραυματισμένα.